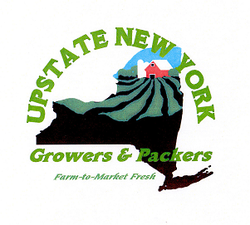 Upstate Growers and Packers is a farmer-owned statewide marketing cooperative selling all grades of produce from all sizes of farms to all types of wholesale & retail buyers. Our growers grow everything from apples to zucchini. Our line of items also includes several value-added products that we continue to develop. UNYG&P cooperative marketing has advantages for farmers, industry buyers & consumers. UNYG&P represents farmers statewide, building long-term sustainable marketing relationships for all grades of produce. 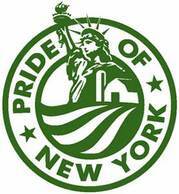 UNYG&P members providing a top quality food supply that meets USDA and NYS standards, and a fresher selection with lower shipping cost benefits. Current members, primarily producers farming diverse crops on larger than average-sized farms, are paving the way for additional large and small growers to market collectively through UNYG&P. Additional members will increase the ability to bundle an even broader assortment of products into mixed loads, a marketing bonus for UNYG&P members and industry buyers. UNYG&P has experience, including developing and marketing branded value-added products using members’ ingredients. UNYG&P understands marketplace issues and what it takes to do the best job for members and industry buyers. UNYG&P cooperative marketing saves time for farmers and industry buyers. Consumer buying trends, food safety concerns, niche markets, and increased public awareness of the value of farms and farmers, create a good climate for UNYG&P cooperative marketing success. UNYG&P can help ensure a continued viable farm economy and quality food source by encouraging merchants to carry more local products from New York State farms, and encouraging consumers to shop at retailers featuring local fresh and value-added foods.